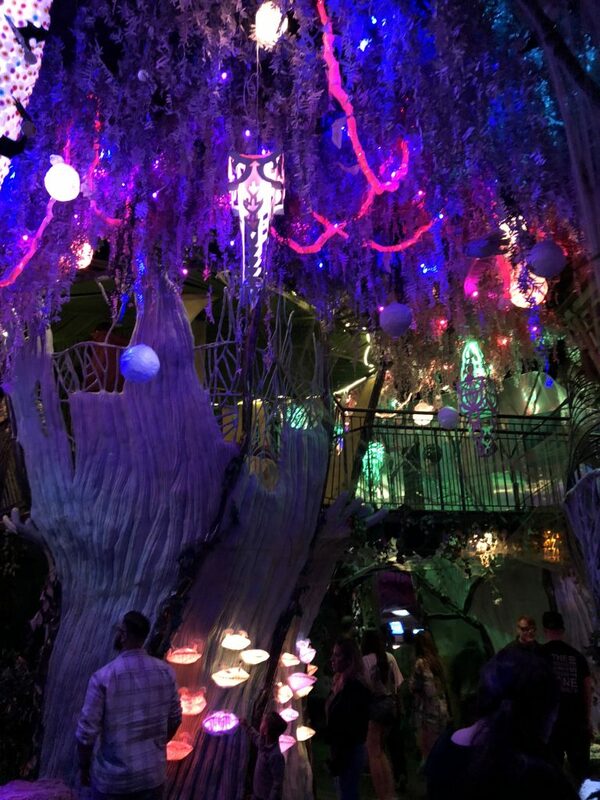 When I went to visit Santa Fe, New Mexico, I received many suggestions to visit this so called “Meow Wolf.” I had never heard of this place so of course I was asking everyone “What is Meow Wolf?” but the only responses I was getting back sounded along the lines of “It’s hard to explain… you’ll just have to see when you get there.” Walking into this place, I had no idea what to expect. Once I realized what the place was, I was amazed. Meow Wolf: What is it? When they told me it was hard to explain… they weren’t wrong, but that’s not going to stop me from writing about it. I’ll try my best to explain it as best as I can. Meow Wolf is this type of “interactive museum” where you go inside and there is a fake house that you can roam around in. At first, I was confused. I walked into the house and EVERYONE was looking around for something. What were they looking for? I had no idea. So I continued walking around looking up and down, feeling like an idiot. Someone opened up the fridge in the kitchen and that’s when I realized just what this place was. It was like… another realm. 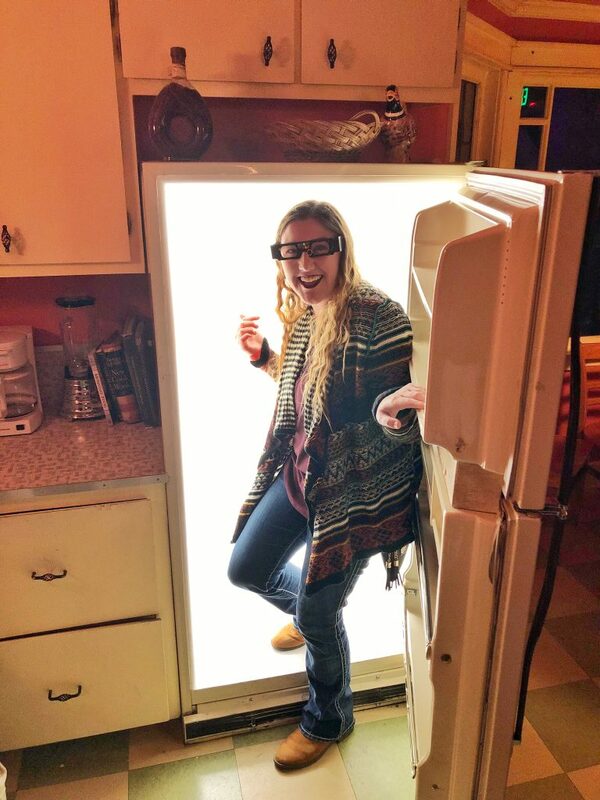 Whenever the girl opened up the fridge, all you could see was a bright light that resembled a hallway. There was no food, no shelves… just a hallway. Of course, I jumped in the fridge and started walking. This hallway led me to a room you that would assume was owned by a scientist from the future. The entire place is full of surprises at every corner. 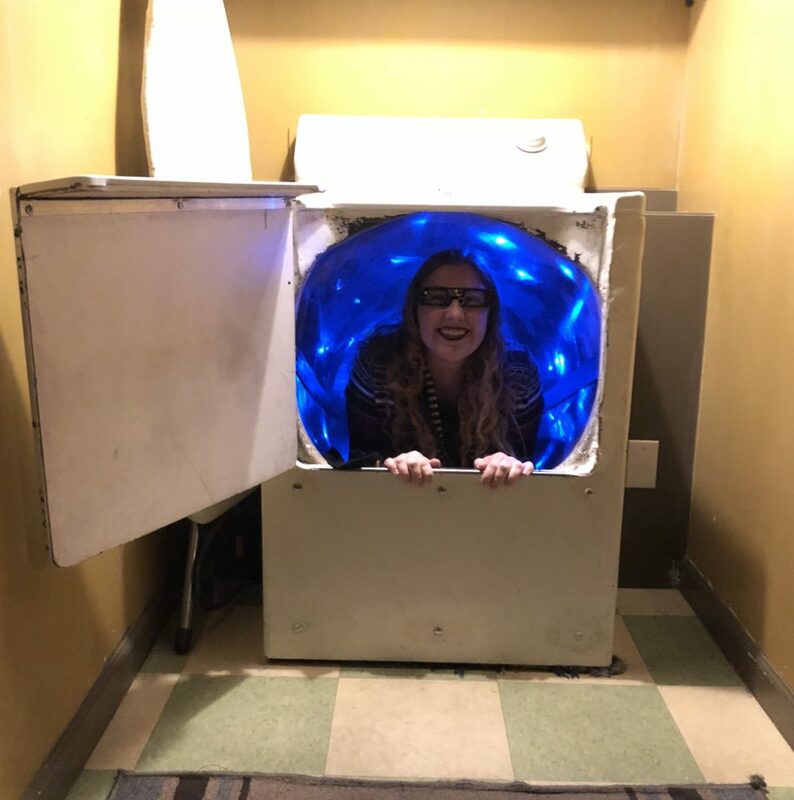 You can spend all day at Meow Wolf just walking around finding the different hidden spots around the house. In the center of the house is the main part that leads you to the majority of the rooms. It’s a huge tree that is surrounded by black lights and everything in there is interactive. This place is definitely not one for a germ freak because it will make you want to touch everything! All of the random things you find in the Meow Wolf house are not just “random.” There’s actually a point behind all the chaos. As soon as you walk in, there will be a mailbox that has the first clue inside of it. From there, you’re suppose to figure out the “secret” behind the house. There’s a lot to take in once you’re there, so many people skip the “secret” all-together because it can sometimes take the entire day to find all the clues but if you’re someone who is determined, I won’t ruin the surprise for you! Meow Wolf entrance ticket fees are $25 for adults and $19 for children 13 or younger. 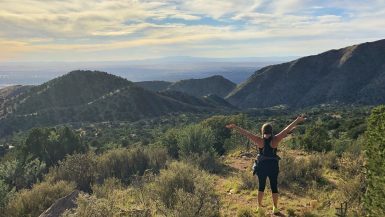 If you live in New Mexico, you get to save an extra $2 on the price of each ticket. You can also get an annual pass if you live around the area and want to go back to find any hidden clues you had missed. The fee for an annual pass for a family is $300. The fee for a single person annual pass is $150. 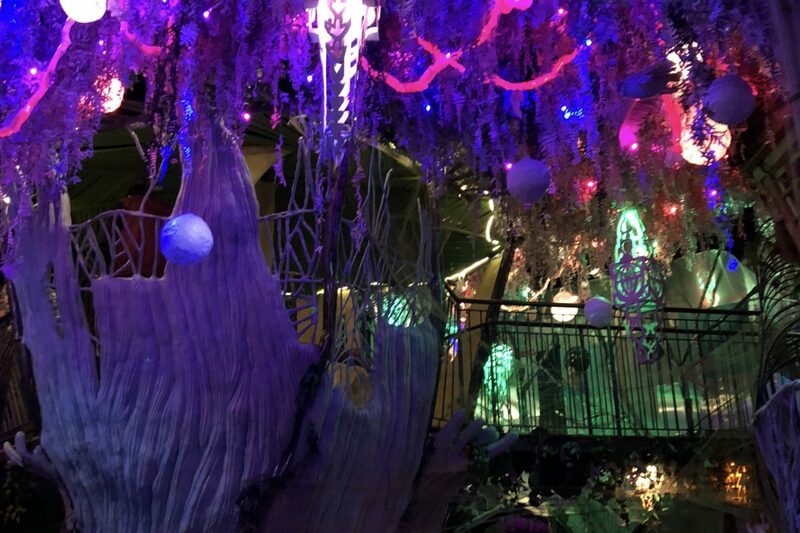 Meow Wolf does have a special room for concerts and special events. Each event differs with price and can be bought on their website here. General admission tickets do not include admission to the concert venue but concert tickets do include admission to the main exhibit. As soon as you exit from another realm, you’ll have to walk through a small gift shop in order to leave the building. Therefore, if you were hoping to get a souvenir, no worries! They also have a very cool vending machine that I recommend you find while you’re there! 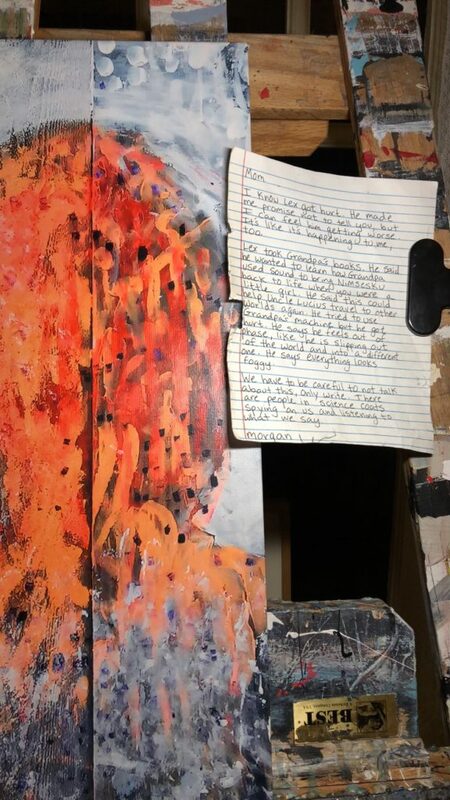 It’s a vending machine that spits out a surprise item made by different artists from around the word. It cots $5 and you never know what might come out! 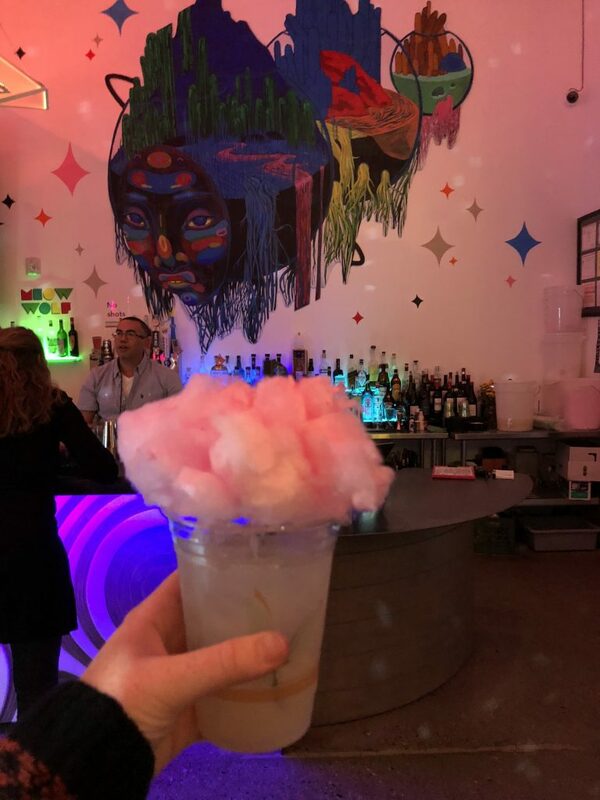 Yes, there is alcohol at Meow Wolf! Once you go through the entire exhibit and walk through the gift shop, there will be a place to grab food and drinks! You must be 21 to enter this area. When I visited, I saw a girl walk by with a drink that had cotton candy on top. I didn’t seem to see anything about it on the menu so I automatically told the bartender “I want whatever she has.” It turned out to be their signature margarita. Margaritas with cotton candy sounds weird, doesn’t it? Well it was definitely worth it. I recommend it to anyone looking for a drink after all the fun. 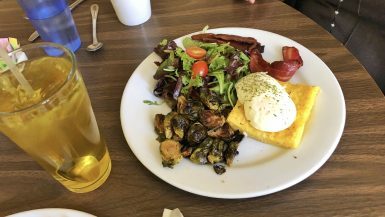 Meow Wolf is also located across the street from Duel Brewery, who has many of their beers available at Meow Wolf. I took a trip to the brewery right after, so I can definitely recommend trying some of their beers as well! What are you waiting for? Buy the Plane Ticket to another realm.